Media and Contents: Soft cover; 80 pages plus covers;. Baing a Czech Publisher, JaPo has, not surprisingly, recently focused their titles on Luftwaffe aircraft that were operated or produced in Czech territory. This has not limited the appeal of the subjects nor content in the least. Indeed, JaPo's publications have all been quite fascinating to date. 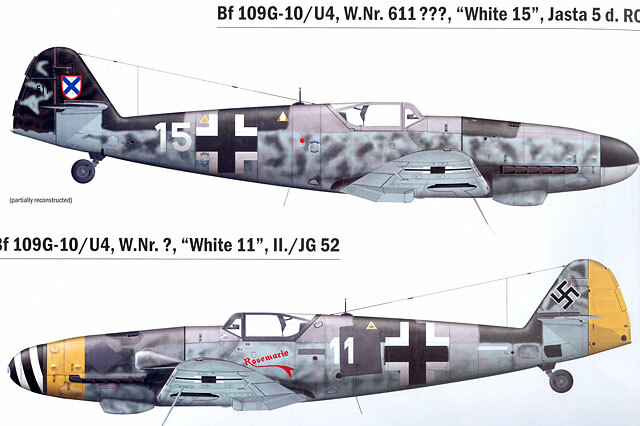 JaPo's newest title, Messerschmitt Bf 109G-10/U4 - Production & Operational Service, is equally interesting. This newest JaPo book concentrates on late war operations of the only full-scale aircraft production facility in Czech lands - Wiener Neustadter Flugzeugwerke GmbH, otherwise known as DIANA. The book commenced with a history of the facility, including photos of architectural models of both Werk campuses, followed by a description of the Bf 109G-10. One of the more amusing points made in this section is that the G-10 was referred to in official documents as Bastardflugzeug der Fortigung Erla! All these attributes are quite clearly described in the text and further illustrated with drawings and wartime photos, including comparisons with G-10s produced at Erla and Regensberg. Additional characteristics are also discussed. Organisation of production and the actual assembly of specific components, including engines, is described in some detail. test flights, camouflage and combat operations in JG 51, JG 52 and JG 53 are covered in the remainder of the book. Although the stated subject matter is production and operational service, there are some terrific case studies of specific camouflage schemes. The colours and markings of each of 12 aircraft is described in detail, with all of them featuring high quality half tone illustrations, and around half also being depicted in full glorious colour. The very attractive style of artwork, combined with useful labels and thought-provoking interpretations, will be familiar to readers who already own other JaPo books in this series. Very nice indeed. The book is also peppered with captioned wartime photos, some of which are new to me, plus various tables and diagrams. It is interesting to see a few of the same aircraft in different photos which have obviously been taken on different types of film. In some photos, the RLM 75 Grey Violet is so pale as to be almost the same shade as the RLM 76 Light Blue; while in others the contrast is much closer to what we would expect to see. The final six pages list all known information on DIANA produced Bf 109G-10/U4s, including aircraft code number and colour, delivery date, unit data, pilot data and its eventual fate. This is quite an achievement. 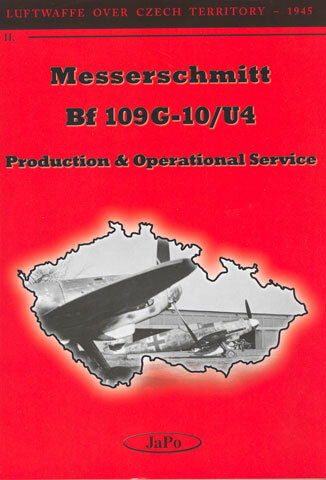 JaPo's "Messerschmitt Bf 109G-10/U4 - Production & Operational Service" is a fascinating analysis of this late war variant for any Bf 109 enthusiast. It is also an excellent companion piece to the previous "Deutsch Brod" volume. I do hope that JaPo release similar titles covering Erla and Regensberg machines to add to this interesting analysis of Bf 109G-10 production variants. I was intrigued to read about the unique features of these machines. Also, in my opinion, their camouflage and markings are some of the most interesting of any Luftwaffe aircraft in the Second World War. The first-rate artwork and detailed discussion of camouflage is another high point in this book. "Messerschmitt Bf 109G-10/U4 - Production & Operational Service" will be appreciated by modellers, Luftwaffe fans and camouflage buffs alike. Thanks to JaPo for the review sample.